For many years, Les Roches Marbella has been actively present in different social actions, volunteering services, donations towards the local community. Therefore, we are proud to announce the creation of the Social Responsibility Department at Les Roches Marbella as a reflect of the constant commitment from Les Roches Marbella Social Responsibility and Sustainability committees, faculty, staff and Students. We coordinate present actions, promote activities and listen to new initiatives and needs in the community. We will be a one stop point for any information regarding volunteering actions in the area and to help our community at Les Roches Marbella to develop our common goals and ideas. We at Les Roches Marbella choose a Healthy way of life as we strongly believe that healthy students, staff and faculty are more likely to achieve their goals in a health-conscious environment. We at LRM strongly believe that it is our responsibility to teach Healthy lifestyles habits and environmental awareness as they are essential for our students of today and professionals of tomorrow. Les Roches is not just a school; it is a way of life; a spirit that animates dialy your life in Marbella; the spirit of team work, the spirit of solidarity, the spirit of service. We at LRM strongly believe that it is our responsibility to install Healthy lifestyle habits and environmental awareness as they are essential for our students of today and professionals of tomorrow. ISO 1400:2011 – In 2000 LRM was accredited with the ISO 14001, internationally recognized standard for the environmental management of businesses. It prescribes controls for those activities that have an effect on the environment. These include the use of natural resources, handing and treatment of waste and energy consumption. SMOKE FREE CAMPUS – Since 1st January 2006 and according to the Spanish law (28/2005), LRM has become a smoke free campus and therefore smoking is strictly prohibited in all areas of the School. Students wishing to smoke must go outside the School premises green line. ZERO TOLERANCE DRUG POLICY – LRM takes an active role in prevention of drugs use by students, therefore their use is strictly forbidden. DRINK RESPONSIBILITY – Les Roches has a strong commitment for the student’s health and safety. Alcoholic drinks are not allowed to be kept or consumed in the residence rooms or within the School premises. SPORTS AND WELLBEING – Sports play an essential part in achieving a balanced lifestyle. Students will find several sports facilities in the school. Students of LRM, are members of the prestigious “Raquet’s Club Manolo Santana”, while studying on site. 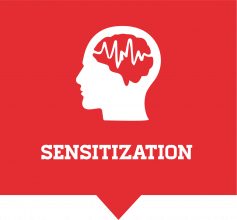 COUNSELING AND SUPPORT – A professional counselor is available on campus to help students with all matters related to emotional distress, learning disabilities, cultural adaptation, etc. SOCIAL RESPONSIBILITY – In 2011, Les Roches Marbella has been accredited by the SGE 21, the first European standard that establishes requirements to be met by an organization to integrate its management strategy and social responsibility. 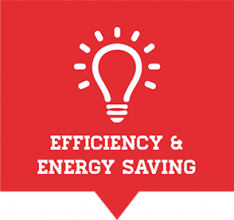 We at Les Roches Marbella believe that energy efficiency is relevant for lives, economies and the planet. As it is the dominant contributor to climate change, we implement a strategic energy plan according to ISO 14001 that leads efficiency and costs control. We at Les Roches Marbella understand that preserving the resources is vital for both the people, the planet. We at Les Roches Marbella understand that preserving the resources is vital for both the people, the planet. To preserve the resources means reducing the consumption of energies and products and maximizing the efficiency and the product life cycles: reusing and recycling when it is time to discard them. Here you have a simple and visual guide for recycling on campus. The LRM Social Responsibility and Sustainability department works to enable the LRM community to understand, explain and deliver on its ambition to leading socially responsible and sustainable plans and actions. By community, it includes our students, families and sponsors, employees, suppliers and the local community and government. The department was created in 2016 to coordinate present actions, promote activities and listen to new initiatives and needs in the community as a company but also happy to inform students about the different volunteering associations in the area and to help them developing their own ideas and goals. Nevertheless, Les Roches Marbella embraces Social Responsibility according to the standard SGE 21:2008 since 2011. Hotel Management involves a marked character of hospitality and service to others in continuous interaction with the client and society; therefore, it is essential to know not only their needs and expectations, but also its evolution over time in order to fulfill them. The development of “social sensitivity” becomes a crucial factor. 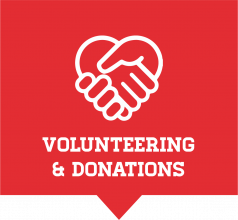 For many years, Les Roches Marbella has been actively present in different social actions, volunteering services, donating food, books, furniture to those who needed it. At this point, we are ready to bring together our ideas and initiatives, and to present these to the LRM community as a unique effort. In 2009, Les Roches Marbella was awarded Environmental Certification in Management Systems UNE/EN/ISO 14001:2004 by SGS for complying with international environmental standards, to date. In 2011 Les Roches Marbella was awarded Corporate Social Responsibility Certification in Management Systems SGE-21 by Forética and Bureau Veritas for complying with international ethical and social responsibility standards, taking a further step towards corporate excellence. Les Roches Marbella wants to actively lead this initiative in Spain and not only as a statement of intent. satisfaction of students and customers or the protection of the environment, but goes beyond, seeking to create value in society. Therefore, Les Roches Marbella tries to instill the desire and ability to contribute to improving society in its graduates. Les Roches Marbella maintains ISO 9001:2008 Quality Certification and ISO 14001:2004 Environmental Certification in Management Systems for complying with international quality and environmental standards. In LRM, our main asset is people so we believe that, by developing our own natural sensibility, we can still make of this, a more sustainable, friendly and happy world. We are people ready and willing to help people, to protect our environment, to look after a healthy way of life, to care about animals and so to become better customers, employees and employers as we cannot forget about the power and impact of economy in our lifes and our world. In LRM, our main asset is people so we believe that, by developing our own natural sensibility, we can still make of this, a more sustainable, friendly and happy world. In LRM, our main asset is people so we believe that, by developing our own natural sensibility, we can still make of this, a more sustainable, friendly and happy world. We are people ready and willing to help people, to protect our environment, to look after a healthy way of life, to care about animals and so to become better customers, employees and employers as we cannot forget about the power and impact of economy in our lives and our world. 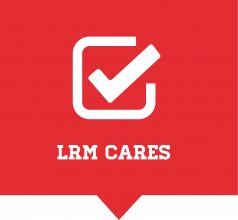 LRM has supported many initiatives and participates actively in many others related to people and environment. People: as hospitality industry, our main asset and objective is people. Volunteering services, banqueting, books donation to educational institutions in Africa, courtesy invitations to local elderly centers to come to our restaurants, food collection, support classes to children and teenagers in need in Marbella, supporting Red Cross homeless feeding services and many others to come! Energy: in accordance to climate change, we encourage the correct use of energy, installed low consumption lights and devices, promote the use of alternative or renewable energies in order to reduce own carbon emissions. Our ISO14001 accreditation certifies our good practices. Furniture and clothing donation: with every renewal on campus, we donate everything that can still be used by others who may need it according to the concept of circular economy and zero-waste policy. Computers and printing. We make sure that electronic devices are printer leftovers are collected and recycled according to law. Fair trade: LRM hold a presentation of the fair-trade alternative to costumers and introduces these products in its purchase list. Food: as future hospitality leader educational center and residence campus itself, LRM is committed to sustainable food practices in order to reduce food wastage and exploitation of natural resources. Also, as we care about people, at the end of every semester, leftovers are donated to charity organizations in Marbella. Purchasing: at LRM we care about purchases in order to support supporting internationally proclaimed human and labor rights and work against any human or labor abuses. 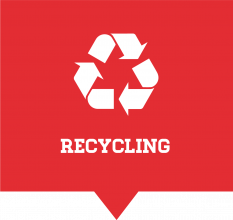 Recycling: recycling and trash segregation policies are informed to all students and employees every semester. We track our trace and create reports in order to improve our system every year. Anticorruption: we, at LRM, have our Ethical Code that includes anticorruption clauses. Welfare and Wellbeing: due the multicultural and international ambience at both Les Roches and hospitality industry, LRM is committed to embed equality and diversity across all our activities. Our students and staff are treated fairly and equally, and their differences are recognized, respected and valued. On campus, in Marbella but also open to listen any type of initiatives wherever they come from. Social Responsibility has no boundaries. In a global world, we are proud to seed sensibility, humility and responsibility in our international community: students to become future leader generation, employees and sister campuses. All along the semester, we develop different initiatives and collaborate with many associations, people and communities who ask for any assistance or cooperation. There is a number of fixed activities that you can join and new others that we promote with pleasure and happiness! All of these will be announced on due time.